John Goodman won the hearts of television lovers with his performance in the ABC sitcom Roseanne which aired from 1988 to 1997 and then in 2018. The actor and comedian cracked ribs with his comic wits which earned him the 1993 Golden Globe Award for ‘Best Actor’. Since then, he has featured in tons of tv productions which cuts across films, sitcoms, and other shows. You’ll most definitely remember him from motion picture adaptation of animated TV series Flinstone which was released in 1994. Goodman made his first appearance on TV in the 80s and has remained relevant since then. He is not just known as ‘Dan Coner’ in Roseanne, there is a lot to know about the funny actor. Here are lesser known facts about John Goodman including his personal life and weight loss journey. He was born June 20, 1952, in St. Louis, Missouri, USA. Losing his father to a heart attack, he grew up with his mother and his siblings. Initially inclined to sports, Goodman who attended Affton High School, got involved in football and played in school competitions. He won a football scholarship after his graduation in 1970 and proceeded to Southwest Missouri State University where he continued with football. However, his football dreams were shattered after he sustained an injury which stopped him from playing. All hope was not lost for Goodman; he soon changed to theatrical studies where he met reputable personalities like Kathleen Turner and Tess Harper. After his graduation, he moved to New York in search of better opportunities. He started with voice over and commercials jobs before he featured in Broadway’s Loose Ends. In 1982, he landed his first film role in the movie Eddie Macon’s Run which got some positive reviews. This was followed by a range of other movies and the actor was gradually rising to prominence. He made an appearance in Broadway musical Big River in 1985, before landing another big role in the comedy True Stories, the following year. In the late 80s, Goodman landed a big role in the sitcom Roseanne (1989-1990), which was regarded as the most watched programme in America at the time. He also starred in some movies by the Coen Brothers, some of which included; Barton Fink (1991), The Big Lebowski (1998), O Brother, Where Art Thou? (2000), and others. He went ahead to make appearances on series like Studio 60 on the Sunset Strip and The West Wing, all directed by Aaron Sorkin; and also got a lead role in Flinstones (1994). Read Also: Is Glenn Dead on TV Series, Walking Dead, If So, Why and How Did He Die? The 2000s came with more promising roles for the actor. He was cast in Coyote Ugly in 2000. The movie was based on the chain of bars Coyote Ugly Saloon in The US. He was cast in the movie Beyond the Sea which was based on Bobby Darin ’s life. In 2013, the actor earned the prestigious title of ‘Disney Legend’ and also played the character of North Carolina Senator in the comedy Alpha House. 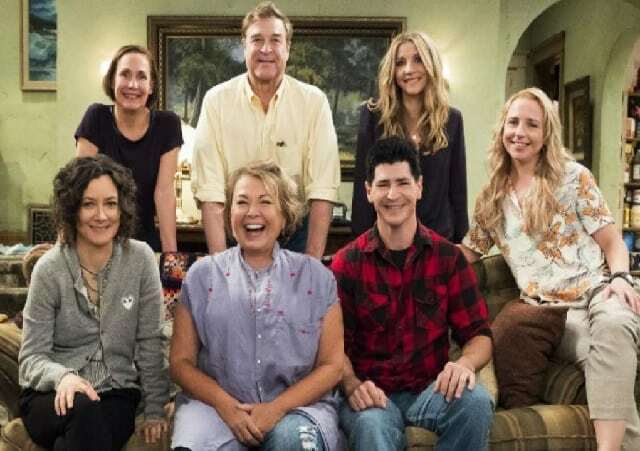 In 2018, Goodman alongside some original cast of Roseanne made a return for the revival on ABC. John Goodman sits on an enviable net worth of $65 million as estimated by many sources. The actor and comedian made a whopping $250,000 per episode during the revival of the much-touted Roseanne series. Although the talented actor makes little noise about his financial status, it’s nothing new to the public that he enjoys a comfortable life with his family. Unlike his loud career, John Goodman has a sane and admirable personal life which he does not always successfully conceal from the media. Goodman is a traditional family man and has been married to his wife, Annabeth Hartzog with whom he tied the knot since 1989. The couple has stayed true to each other amid several challenges like alcoholism on Goodman’s part. Goodman’s marriage has also become a source of inspiration to other entertainer-couples in the industry. They have a daughter, Molly Evangeline together. Goodman’s story cannot be told completely without a mention of his weight loss journey. The actor who weighed as much as 400 pounds in the earlier Roseanne series, lost a lot of weight amounting to over 100 pounds in the reboot. How did he survive the journey he started in 2015? First, Goodman had to cut down on some things like alcohol and junk. He also employed a personal trainer – Mackie Shilstone – who introduced him to workable exercise routines. Goodman started from there and worked out six days in a week to get to his present size. Is John Goodman Dead or Alive? Death hoaxes are common with celebrities but what if there is a trace of truth in them? What if Goodman was really dead?. Death reports about Goodman made headlines in 2017 following the announcement of a revival of Roseanne series. The most common question making rounds on the internet was what about dead John Goodman? Goodman’s character (Dan) died in the previous series but his character was brought back to life in the reboot. As of 2018, Goodman in real life is still alive. John Goodman’s daughter, Molly is not far from her father’s line of business. She is a production assistant in the film industry. During the heat of Roseanne Barr racist uproar, it was feared that the actor alongside other casts of the series will experience a financial meltdown due to ABC’s plan to cancel the show as a sanction to Barr. But Goodman remains unshaken as he still enjoys a comfortable life with his family. For those who do not now, John Goodman used to be a bouncer, a job he effortlessly fits into due to his size.